Workers keep an assembly line running inside the Technicolor factory in Manaus, Brazil. 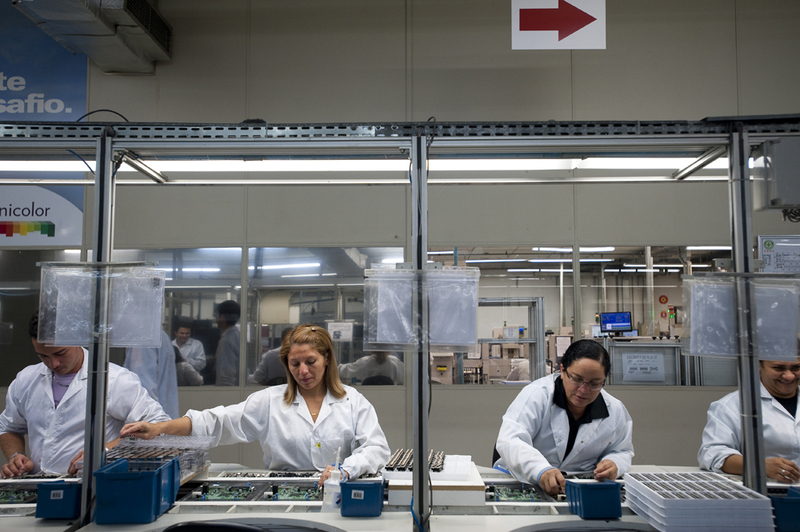 Hundreds of manufacturers are located in the Amazonian city where the government has provided tax breaks that encourage industrial development in the area. The free trade zone has created urban jobs for workers who might otherwise have been putting further strain on the surrounding rainforest with logging or illegal farms. Photographed on Wednesday, March 14, 2012, in Manaus.